I was invited to attend Timebrland's Choose your own adventure event. . I really love how they put together the event and based on your interest your location would be chosen for you. 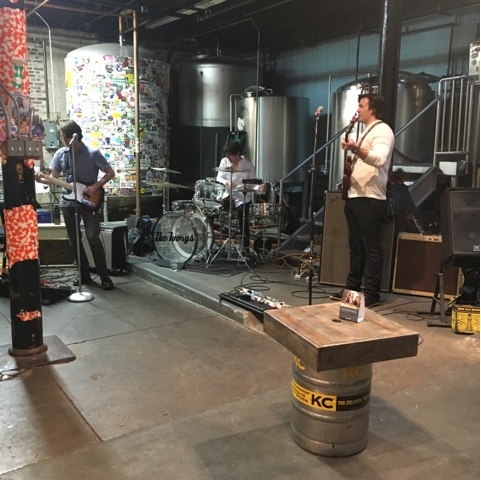 My location was in Lincoln Park at the Half Acre brewery where the live band The Ivory's were playing. I enjoyed yummy appetizers and beer were served but I'm more of a margarita type of guy but it was still a pretty awesome event.